Truck Drivers union said it had the support of hundreds of thousands of members in the campaign. Truck Drivers operators on strike for seven days have agreed to call off their protest after the government promised to consider their demands. The All India Motor Transport Congress had called the strike to press Prime Minister Narendra Modi’s government to reduce taxes on fuel, roll back higher insurance premiums and cut highway tolls. Truck Drivers union said it had the support of hundreds of thousands of members in the campaign which has seen vehicles stranded at borders and fears that food prices could rise because of shortages. 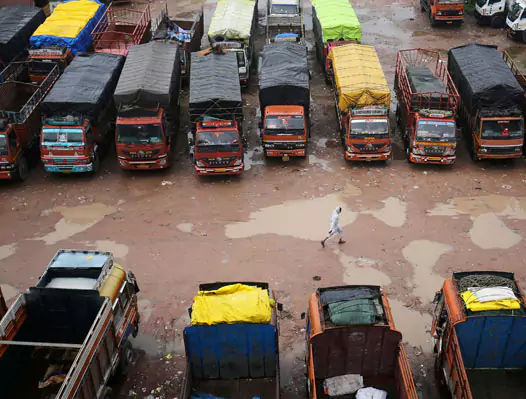 Announcing the withdrawal of the strike, Union Road Transport Minister Nitin Gadkari said the government had agreed to consider their demands. “The government is sensitive to the demands of the transporters. We have accepted many of their demands. We have formed a high-level committee to consider the last remaining one,” he tweeted in Hindi on Friday evening. Many Indian industrial giants and suppliers of essential food commodities were suffering growing disruption because of the strike that affected south and western India the most. Trade lobby Assocham estimated that the strike had so far led to an estimated direct and indirect loss of over Rs. 50,000 crore to the economy. The Society of Indian Automobile Manufacturers said its members, including Tata Motors and the Indian operations of Ford and Skoda, faced an “unprecedented crisis” because of parts shortages due to the week-long strike. Online retailer Amazon said the strike has affected its product deliveries in some cities. “Owing to the ongoing difficulties caused by the strike, the delivery of products in a few cities has been impacted and we are working closely with these customers to get their orders to them quickly,” its spokesperson said. States such as Gujarat, Maharashtra and Tamil Nadu which have key textile, pharmaceutical, chemical and ceramic industries saw major disruptions. Experts had warned that while essential food items had so far avoided problems because of local supplies, prices would soon start rising if the strike goes on.